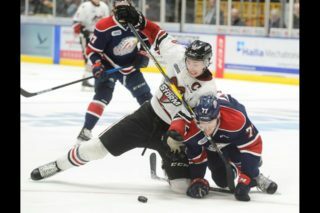 The National Hockey League’s Central Scouting department released its annual Players to Watch List for the 2017 NHL Entry Draft on Tuesday morning and the list of more than 200 players included six members of the Guelph Storm. Players were graded using A, B, C, and LV ratings where an ‘A’ rating indicates a 1st round candidate, a ‘B’ rating indicates a 2nd or 3rd round candidate, a ‘C’ rating indicates a 4th, 5th, 6th round candidate, and ‘LV’ indicates a prospect who have not had sufficient viewings to be categorized. Guelph’s Isaac Ratcliffe, Dmitri Samorukov, Nate Schnarr, Nick Deakin-Poot, Albert Michnac, and Anthony Popovich were all rated in the initial Central Scouting list, with Ratcliffe, Samorukov, and Schnarr both garnering ‘B’ ratings. Ratcliffe is coming off a strong rookie season recording five goals and eight assists in 46 games played and was named the co-winner of the Rookie of the Year award. In 2015-16, Ratcliffe has already scored once and added another two assists in the Storm’s first four games. 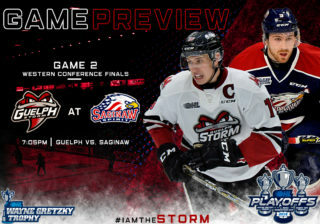 After being selected second overall in the 2016 CHL Import Draft, Samorukov has made his presence felt throughout the Storm’s first four games at both ends of the rink. Adapting to the North American game quickly, Samorukov has shown great offensive instincts, picking up two assists in four games. Joining Ratcliffe and Samorukov as ‘B’ level prospects is Nate Schnarr, who is enjoying a strong start to his first full season with the Storm. In four game, Schnarr has scored once, while picking up two assists. Last season. tallied one goal and three assists in just six games with the Storm last season. 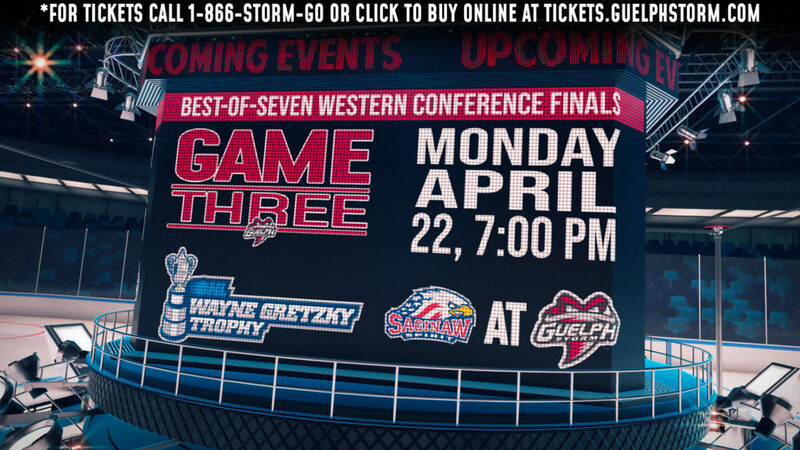 The Waterloo native Schnarr also played 45 games with the Waterloo Siskins of the GOJHL where he scored 26 goals and 28 assists en route to winning the R.J. Noble Memorial Trophy (Rookie of the Year) and being named to the Midwestern Conference All-Star – First Team. Sophomore centre Nick Deakin-Poot has climbed his way into the rankings after being left off the NHL Central Scouting Futures List. The power-forward immediately grabs the attention of spectators due to his physical play and potential for increased offensive production. With just five points in his first season, Deakin-Poot found the score sheet in his first game of the season before missing the next three games. 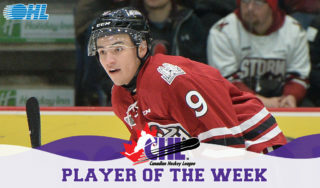 First-year import for the Guelph Storm, Albert Michnac, had a terrific preseason scoring three times in four games. After a quiet start to the regular season, Michnac had a breakout game this past Saturday in Owen Sound scoring his first career OHL goal, he also picked up an assist earlier in the game. 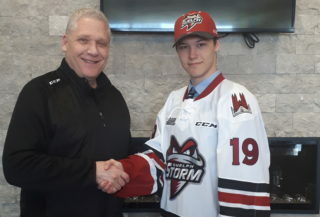 The final player to make the Central Scouting Players to Watch Ranking for the Storm is Anthony Popovich. 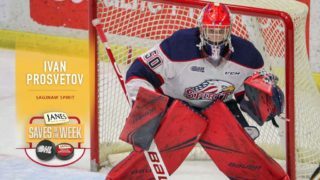 The rookie goaltender made his OHL debut on Saturday against the Attack, making 53 stops en route to a 4-2 win. The Belleville native spent last season with the Wellington Dukes of the OJHL where he posted a 2.34 goals against average and a .908 save percentage in 15 games. For a full list of all players ranked in the NHL Central Scouting Players to Watch list, click here.